Since 2003, the United States government has banned the importation of gemstones from Burma (Myanmar), especially valuable ruby and jadeite. Though Burma has now made substantial progress towards reform, the sanctions on ruby and jadeite are still in place as of September 2016. On September 14, 2016 President Obama pledged to lift all remaining sanctions on Burma, and he issued an executive order to that effect in October 2016. It is now legal to import Burmese ruby and jade to the US. This article provides a short history on the ban on Burmese gems, including the latest news on the sanctions. In 2003, the United States government banned the import of all gemstones from Burma (Myanmar). This was part of a program of sanctions to put pressure on the military junta that had ignored democratic elections, placed Nobel Peace Prize laureate Aung San Suu Kyi under house arrest, and persecuted minority groups throughout the country. However, the 2003 legislation had a rather large loophole. Gems which had been cut and polished outside Burma -- usually in Thailand -- could legally be imported as products of the processing country. In 2008 the Bush administration moved to close this loophole with the passing of new legislation, known as the Tom Lantos Block Burmese JADE (Junta's Anti-Democratic Efforts) Act of 2008. 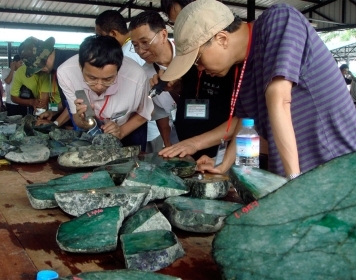 This new legislation prohibited the import of ruby and jadeite mined or extracted from Burma, regardless of where the material was processed. 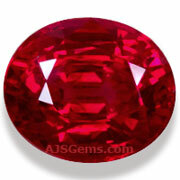 Other gem varieties, such as spinel and zircon were not affected. The ban on the import of ruby and jadeite has always been controversial, and has been opposed by many people in the gem trade. The concern is that the sanctions did little to limit income to the Burmese junta, since China, their largest trading partner, was a regular customer at government auctions for ruby and jadeite. The sanctions mainly affected small miners and gem traders who sold their gems to Thai dealers. In 2008 the military government introduced a new constitution that guaranteed power for the military and then held so-called democratic elections in 2010. Since Aung San Suu Kyi was barred from participating, her National League for Democracy (NLD) boycotted the election. The elections were viewed as fraudulent by the international community, and the skepticism seem justified when the military-backed Union Solidarity and Development Party declared victory with more than 80% of the votes. Much to the suprirse of the international community, the new civilian government, led by a former general, Thein Sein, embarked on a sustained program of reforms. They included the release of Aung San Suu Kyi and hundreds of other political prisoners, economic liberalisation and relaxation of restrictions on labor unions and press censorship. Aung San Suu Kyi and the NLD were allowed to participate in a by-election in April 2011 and won 43 of 45 seats contested. In a very short time, Aung San Suu Kyi went from house arrest to become the leader of the opposition in the Burmese parliament. The US restored diplomatic relations and appointed an ambassador to Burma. US Secretary of State Hillary Clinton visited Burma in December 2011 and President Barack Obama followed with a visit in November 2012. With the normalization of relations between the US and the visits of the President and Secretary of State, one expected that the sanctions against Burma would be lifted. In May 2012, Secretary Clinton announced that US companies would now be permitted to invest in Burma. With the separate visits of Thein Sein and Aung San Suu Kyi to the US in September 2012, the lifting of the ban on Burmese imports seemed imminent. However, an announcement was not made until President Obama's historic visit to Burma in November. On November 16 the Treasury and State Departments announced they were lifting sanctions on a range of Burmese products, but did not include ruby and jadeite in the list. The reason, as we understand it, is that the JADE Act of 2008 requires the approval of Congress to remove the ban. Now we are waiting to see if Congress will take action before the end of 2012. On August 7th President Obama signed an executive order that renews the ban on the import of Burmese ruby and jadeite for another year. Though sanctions have been lifted on all other products originating in Myanmar, the continued ban on ruby and jadeite reflects worries about the military’s continuing involvement in the gem industry based in border regions that have seen ongoing conflicts. Washington remains concerned about human rights abuses against ethnic minorities and the role of the army in Myanmar despite democratic reforms that have seen a shift from decades of authoritarian rule. At a news conference with US Secretary of State John Kerry, Aung San Suu Kyi said she believes that the U.S. is keeping some sanctions in place to help the Southeast Asian nation, but will remove them shortly. "We’re not afraid of sanctions," she was quoted as saying. "We’re not afraid of scrutiny. We believe that if we are going along the right path, all sanctions should be lifted in good time." 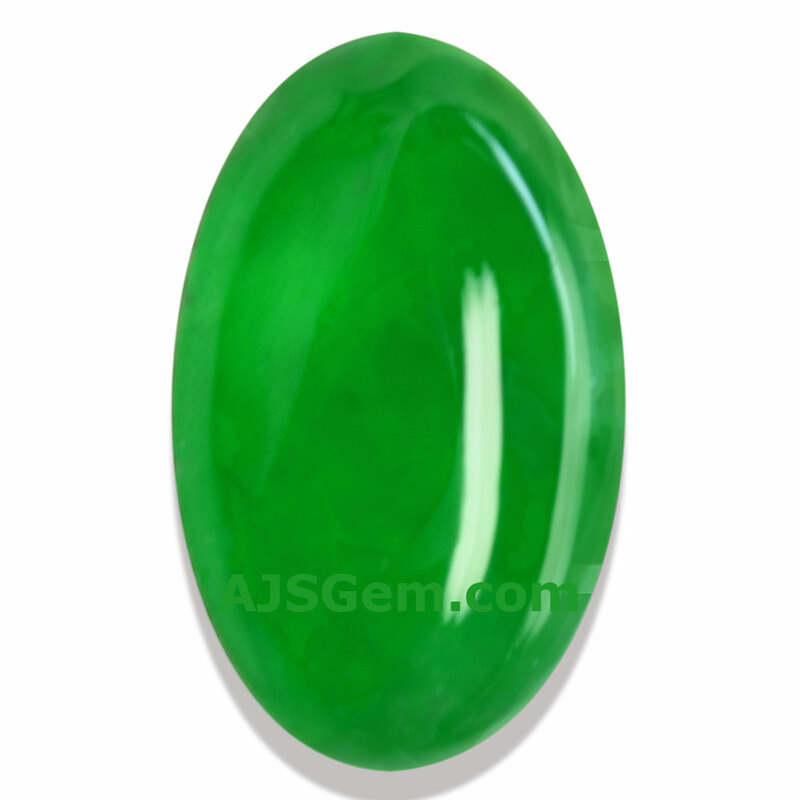 In the very near future, it will once again be possible to import Burma ruby and jadeite to the United States. 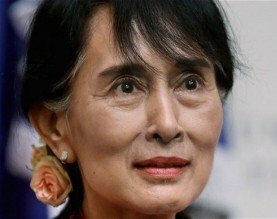 The US issued the announcement during a visit by Daw Aung San Suu Kyi, Myanmar’s leader, whose victory in democratic elections last year was viewed by the Obama administration as a triumph in the president’s strategy of engaging with countries the United States had long shunned. “In part because of the progress that we’ve seen over the last several months,” Mr. Obama said, “the United States is now prepared to lift sanctions that we have imposed on Burma for quite some time. “It is the right thing to do in order to ensure that the people of Burma see rewards from a new way of doing business and a new government,” the president said. The US Customs and Border Protection stopped enforcing the import prohibition on October 7th, 2016 and updated their rules on October 30, 2017.